BeMeFit is a new age fitness platform, designed to be the ultimate one-stop fitness destination: All BeMeFit outlets come with a Gym, Spa, MeStudio and an Organic Cafe. The name itself signifies what we stand for: to be ‘Me Fit’ or be Self Fit. We believe fitness is as much a science where each individual’s needs and personal goals differ and hence, cater to individuals with a focus directed approach. BeMeFit ensured effective fitness solutions by providing top-notch training and world class facilities. BeMeFit was established with an aim of bringing fitness as a wholesome journey back into the lives of people. On this journey, you’ll be accompanied with not just a fit body, but also a fit mind and soul. For the fitness journey to fit seamlessly in your life, we have ensured that everything you need can be accessed under one roof. 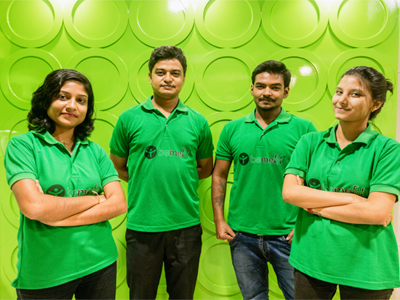 Bemefit is a Kolkata based fitness and wellness startup aiming to provide customers a unique personality based training experience. We are dedicated to design an environment which makes people happy after a workout. We seek to build a high happiness quotient in our gyms which caters to the needs of our customers. We coined our name BeMeFit focusing on 3 different aspects. Be : The Spa – Focus on rejuvenation and well-being. Me : The Studio – Focus on Activities like group classes. Fit : The Workout Zone/Gym – Focus on Endurance &Fitness.